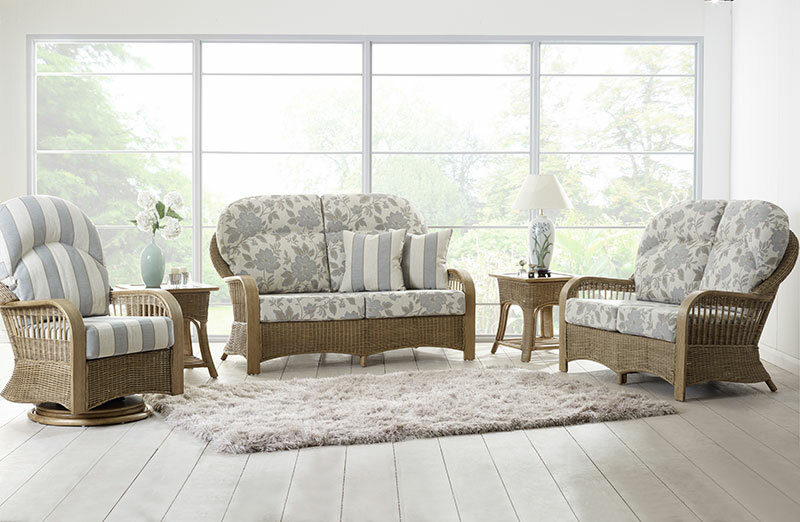 The Monza is equally at at home in the Conservatory or the Lounge, this range offers the comfort of a traditional upholstery suite but with the added beauty of the woven rattan. With the choice of over 50 fabrics this range is suitable for any home. Sprung seat. Frame colour only available in Java Wash.